Too many cooks spoil the broth, so the saying goes. Too few cooks, and you might want to bring in a robot chef or two to help. Japan's restaurant industry is plagued by a lack of available staff. In fact, the Japanese workforce as a whole is seriously underpopulated: 81% of companies (with 10 or more employees) have difficulty finding qualified employees, according to recent OECD data. But one restaurant believes it has found the answer. 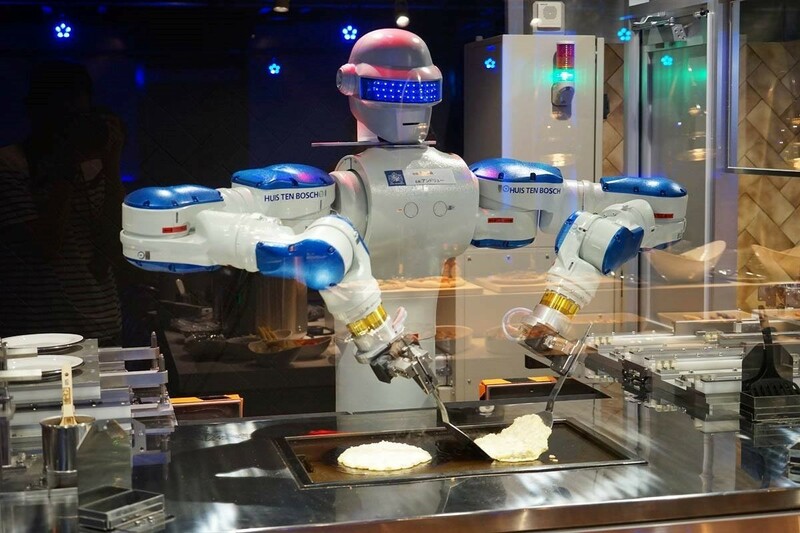 The Henn-na Restaurant in southern Japan has a buffet-style restaurant with a robot chef. Its specialty is the okonomiyaki, a savoury Japanese pancake, which the robot flips to order. It’s not the first robotic restaurant: over in Singapore, the Rong Heng Seafood Restaurant uses two robotic waitresses to deliver orders. However, Henn-na goes one step further, because it’s the first to use robots to actually cook the food. The restaurant is part of the Robotic Kingdom, itself part of a sprawling theme park, and also features the world’s first hotel to be primarily staffed by robots. The Henn-na Hotel claims it has discovered “the ultimate in efficiency”. 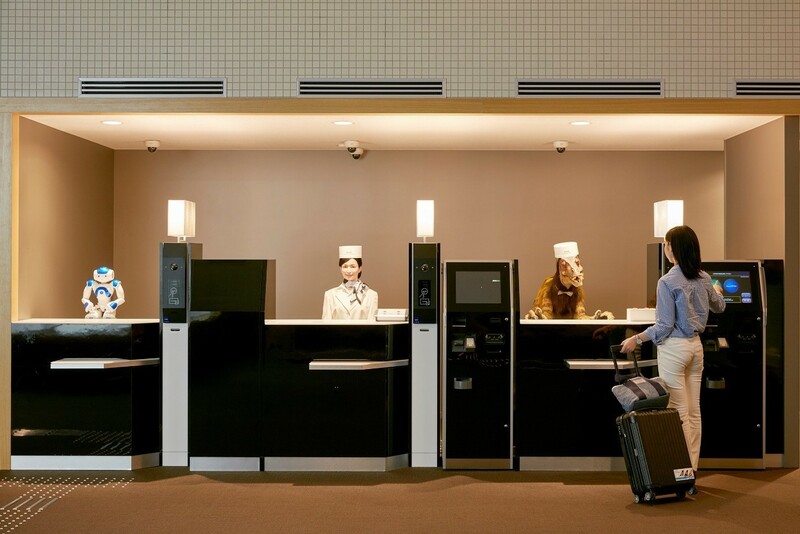 Humanoid robots, which look like humans and are proficient in many languages, take care of check in. Others deliver luggage to your room, while a huge white robotic arm takes care of storing bags. A little nightstand robot helps you turn the lights out. But robots aren’t the only cutting-edge technology in use at the hotel – keys have been dispensed with in favour of doors that open using facial recognition. Until recently, guests had to make do with a café that offered an assortment of vending machines offering both hot or cold food and drinks. Now, however, they are able to enjoy pancakes prepared by a robot. We hear a lot about rising automation and the robots who are coming for our jobs. And with good reason: according to research published by NPR, the role of the restaurant cook has a 96.3% chance of becoming automated. As technology advances apace, machines could soon be making more than pancakes. UK-based Moley Robotics has invented a robot that can cook a complicated recipe – such as a crab bisque – from scratch.